Tomorrow (well, today, I just haven’t gone to sleep yet) I’ll be appearing at Heroes Your Mom Threw Out Comic Shop in Elmira, NY. They’re having a pre-Man of Steel Superman party. I (and several other local artists) will be doing sketches and such from 4-7pm. Come on down won’t you? 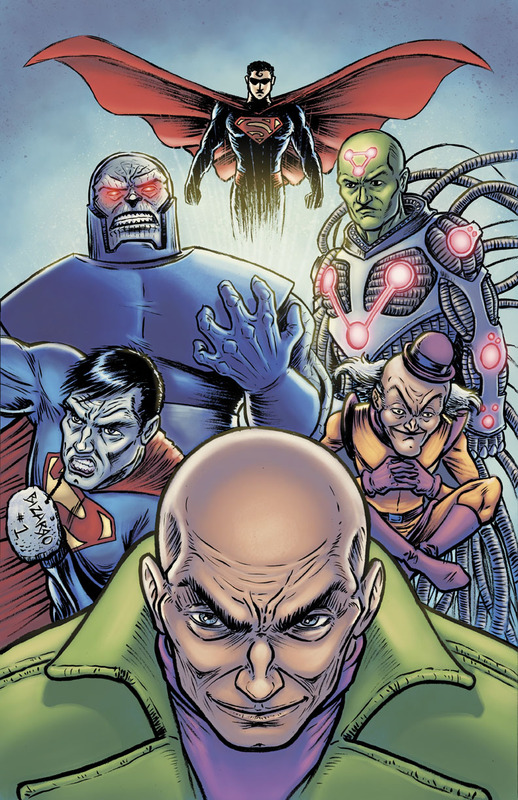 As such, I just finished up this Superman Rogues piece as a companion to my Batman Rogues one. I’ll have prints of both with me at the store, for the low, low price of $10 each.